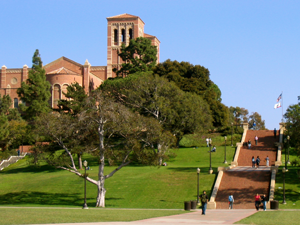 The University of California, Los Angeles (UCLA) is a large public research university located in Los Angeles, California. It is part of the University of California system. "Janss Steps in front of Royce Hall, November 10, 2004" by b r e n t is licensed under CC BY. N.d. UCLA. http://www.ucla.edu/, accessed October 30, 2015.